Product prices and availability are accurate as of 2019-04-19 08:01:06 UTC and are subject to change. Any price and availability information displayed on http://www.amazon.com/ at the time of purchase will apply to the purchase of this product. We are reluctantly presenting the excellent Adjustable Snapback Classic Trucker Hat by FlexFit #6006 at a brilliant price. Don't pass it over - purchase the Adjustable Snapback Classic Trucker Hat by FlexFit #6006 online today! 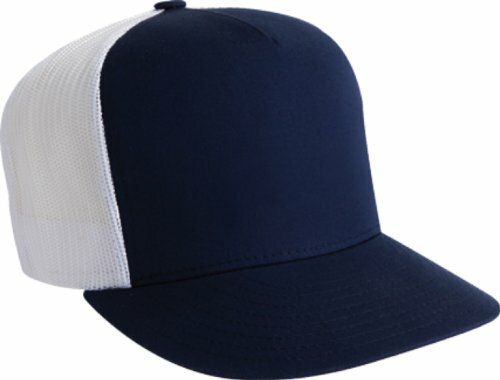 Made by FlexFit, this adjustable 5-panel hat is the "Classic Trucker". Available in 19 colors, this cap features a flat visor and a mesh back. With a lined buckram and 8 rows of stitching on the visor, this comfortable hat will last! Snapback Hat With Color Matching Plastic Adjustable Strap 47% Cotton / 25% Polyester/ 28% Nylon 3 ½" Crown, 8 Rows of Stitching on Flat Visor 5-Panel Cap With Buckram Front Lining and Classic Mesh Back-Quilted Comfort Sweatband Great for Screen Printing, Sublimate Transfers, and Embroidery.